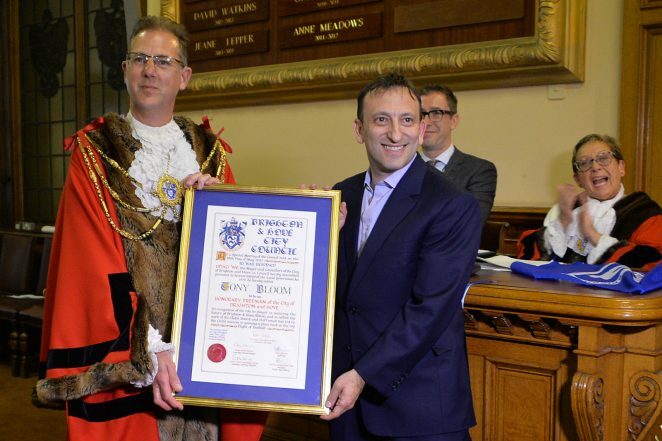 At a Brighton and Hove council meeting this week, Brighton and Hove Albion FC Chairman Tony Bloom, and Manager Chris Hughton, were awarded the freedom of the city. 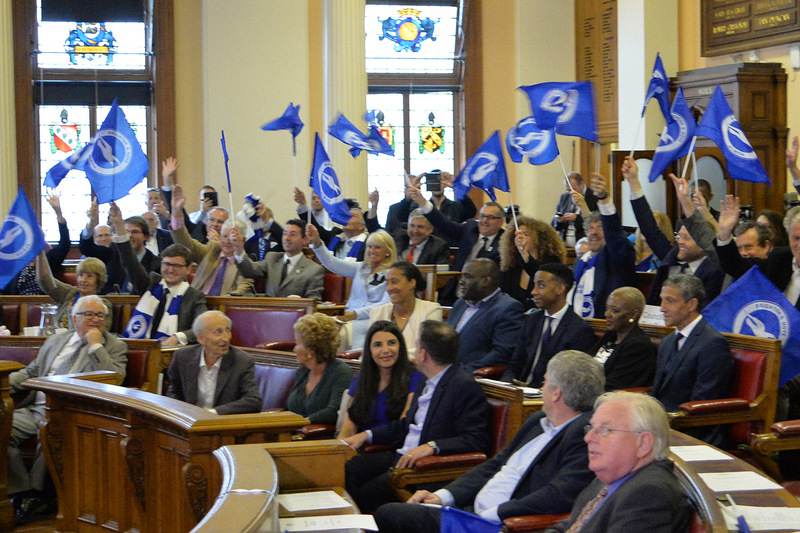 The Brighton Town Hall council chamber was full to overflowing with city councillors wearing Albion scarves and waving Albion flags, as Councillor Pete West presented the pair with framed copies of their award. 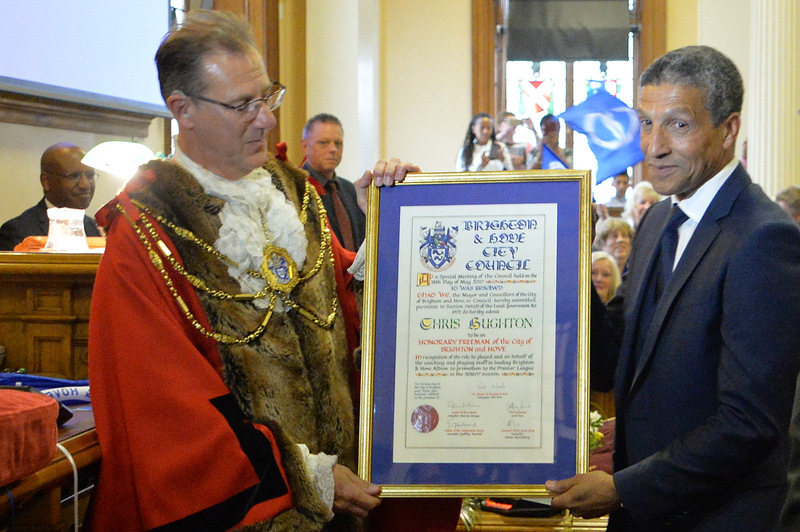 After approx 100,000 fans had lined the streets for a victory parade celebrating the club’s promotion to the Premier League, the freedom of the city was a fitting award.